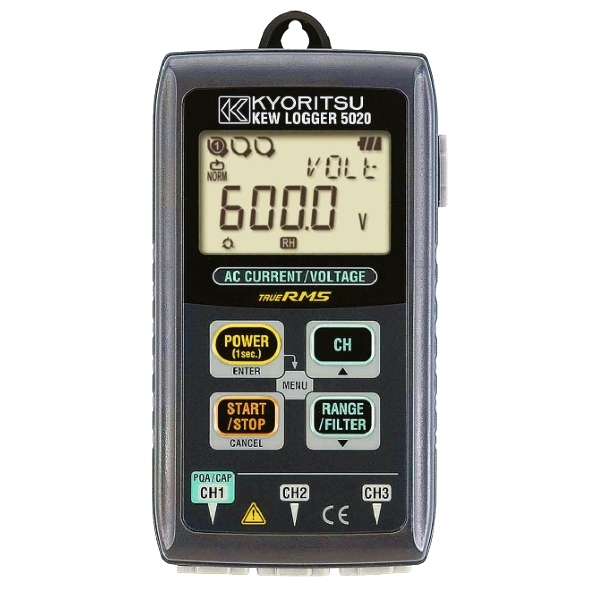 The Kyoritsu 5020 TRMS Current/Voltage Data Logger has three input channels for the simultaneous recording of load current and voltage. 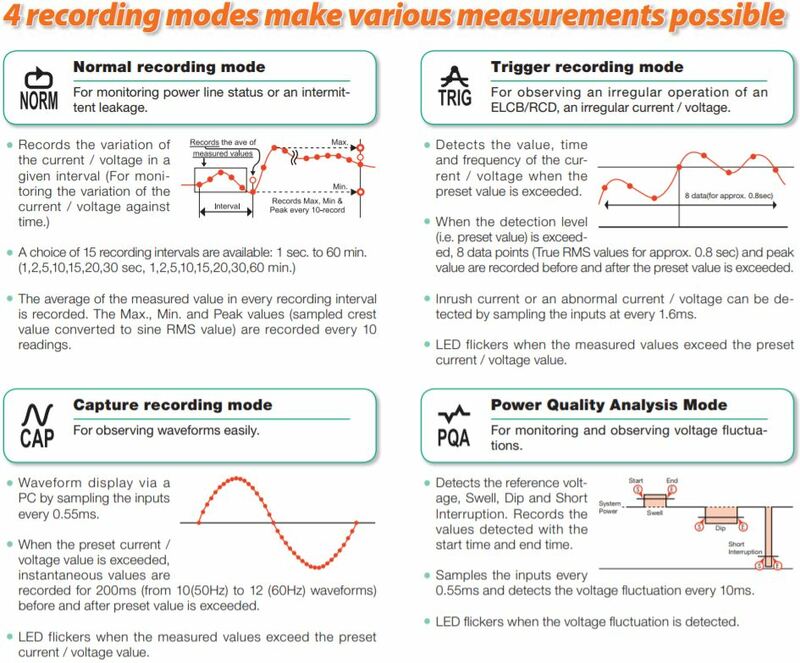 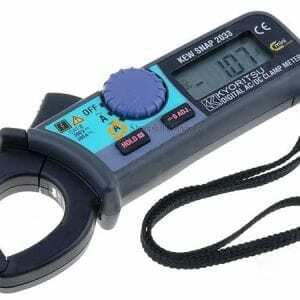 Various measurements are available with four recording modes: Normal, Trigger, Capture and Power Quality Analysis. 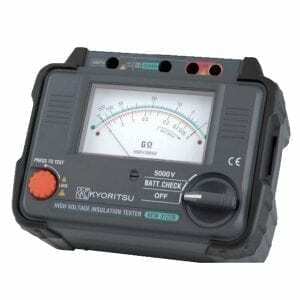 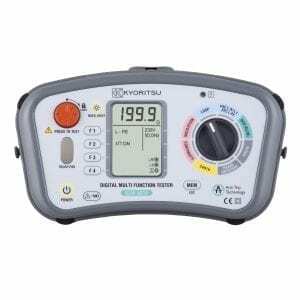 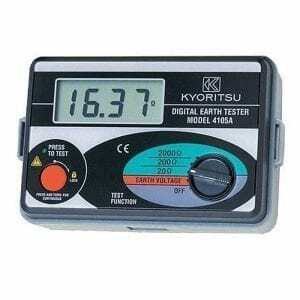 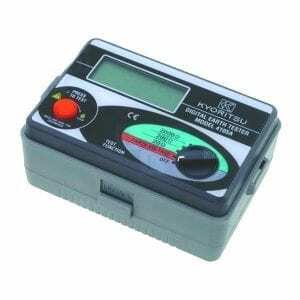 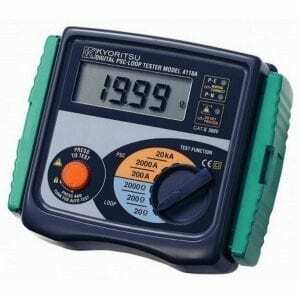 The Kyoritsu 5020 data logger is capable of storing up to 60,000 measurements and features non-volatile memory that allows recorded data to be retained even if power is lost. 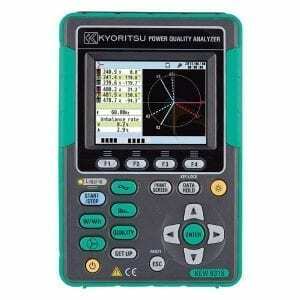 Power Quality Analysis: Reference voltage, Swell, Dip, Short power Interruptions. 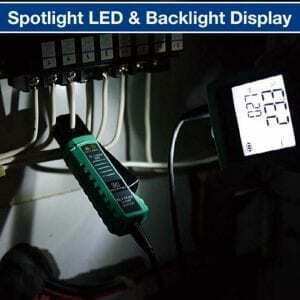 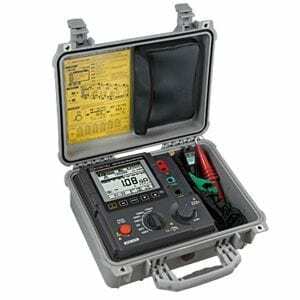 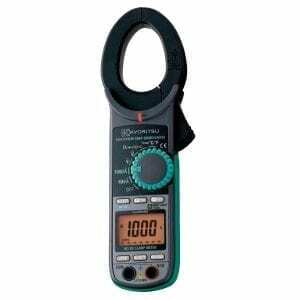 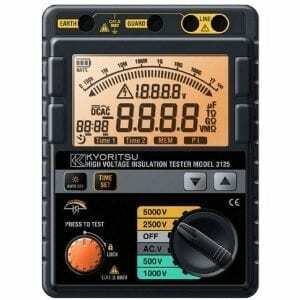 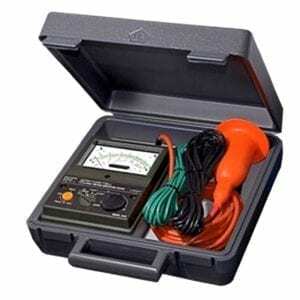 Variation of the measured voltage and current data can be confirmed simultaneously on the PC display monitor. 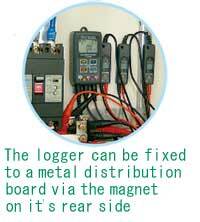 Large capacity for storing 60,000 data points when 1 channel is used, and when all the three channels are used, 20,000 data points per channel can be recorded. 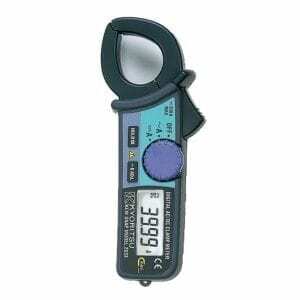 Permits editing, analysis and graphical display of data. 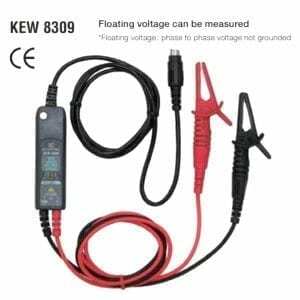 Recorded data is downloadable onto a PC via USB cable. 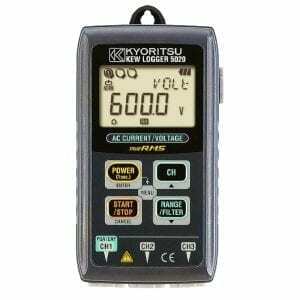 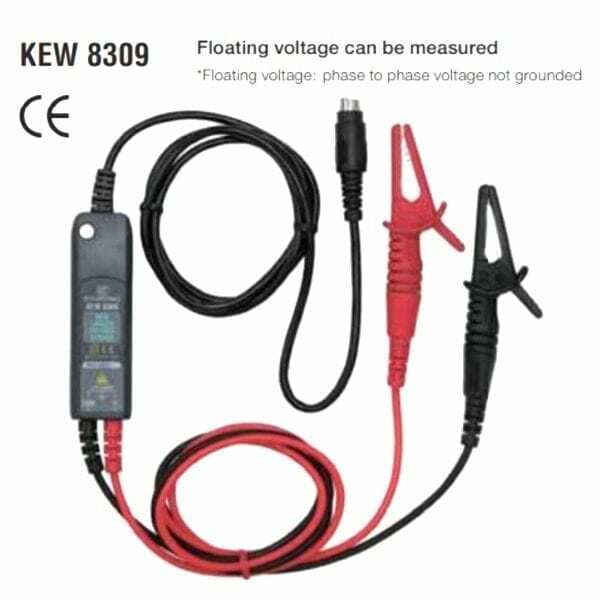 Simplified Power Integration: (The “KEW LOG Soft 2” uses current and voltage recorded to calculate the integral power consumption). 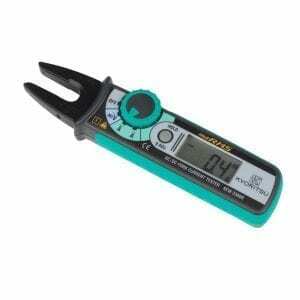 Crest Factor 2.5 or less: RMS accuracy (sine) + 2%rdg + 1%f.s.